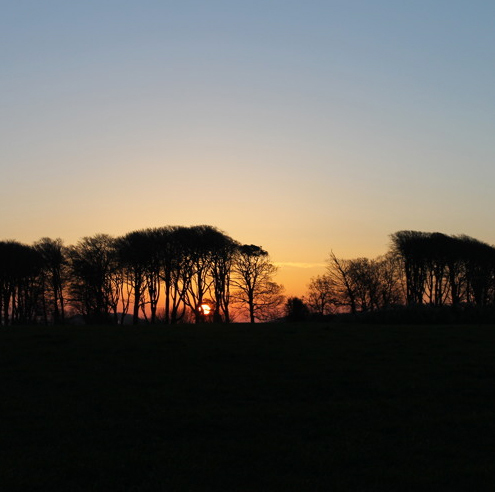 After 4 months of documenting sunrises at Kingston Russell, Monday 20th April 2015 promised to be the best of the year so far. The weather had been fine and clear for several days and the forecast for my chosen day was just as good. Getting out of bed at 4.30 a.m. was a bit of a struggle but once on my way to Kingston Russell, with the first hints of dawn in the sky, my enthusiasm and excitement kicked in. This entry was posted in associate artist, audio, Mandy Rathbone, sound walk. Bookmark the permalink.